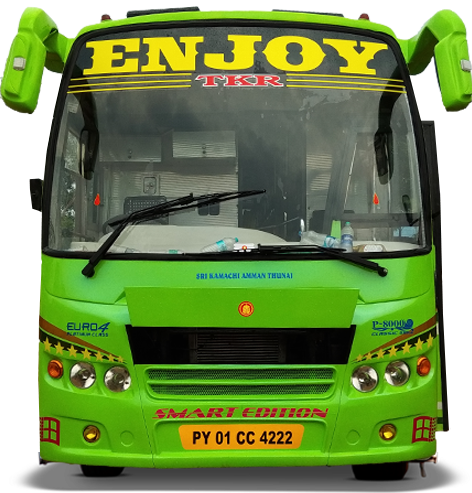 Enjoy Travels providing travel solutions to their passengers with best in class quality by operating brand new fleets with well experienced professionals. Some of the Important routes of Enjoy Travels include Chennai to Bodi and Chennai to Pollachi. Book Enjoy Travels bus tickets online in website and from your mobile with few easy steps.